Did you know that March is National Nutrition Month®, a nutrition education and information campaign created by the Academy of Nutrition and Dietetics? The theme for this year is “Put Your Best Fork Forward” to help remind all of us that we have the tool – the fork – to make healthier food choices. Even small choices help to improve health now and into the future. But what if you can’t ma ke those healthier choices due to financial circumstances? 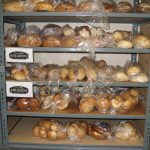 How do you choose between the loaf of sliced white bread (usually cheaper) and the healthier multi-grain option when you are trying to stretch your food budget to feed your family? How can you take advantage of fresh fruits and vegetables to improve health when those same items are outside of your budget? 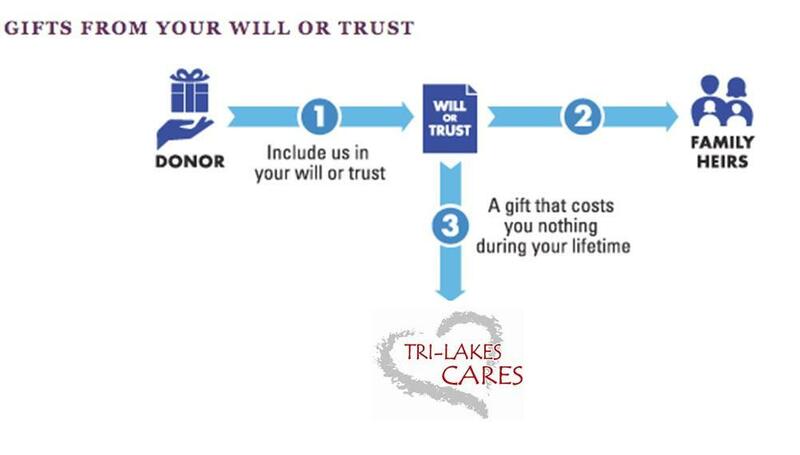 This is where Tri-Lakes Cares can help! 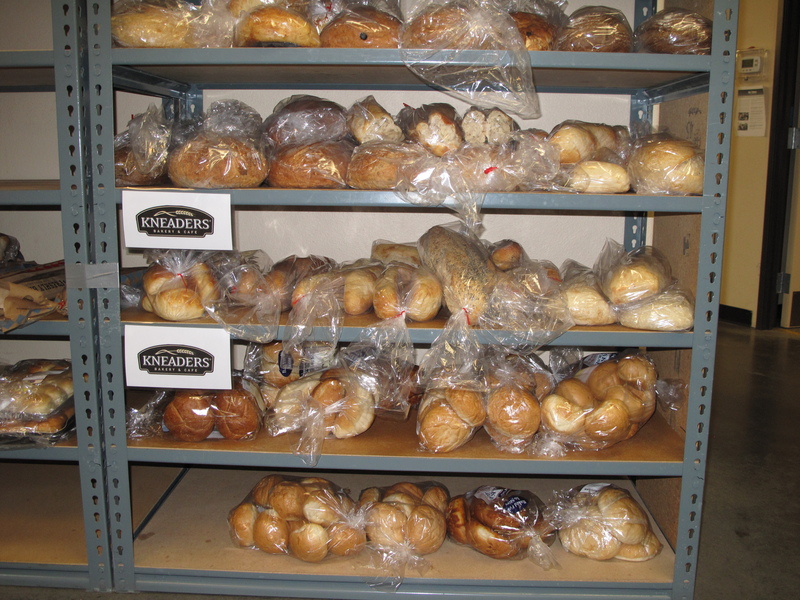 Through our “Help Yourself” pantry option, individuals and families can shop and select whole grain breads, fresh fruits and vegetables as well as dairy products such as milk, eggs and yogurt – all thanks to our community partners. 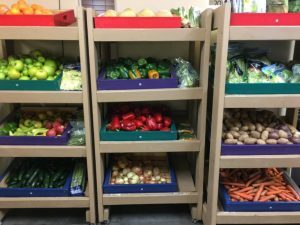 Every Monday and Thursday, our volunteers pick up these items from stores across our community (Safeway, King Soopers, Natural Grocers – to name a few) as well as from Care and Share. 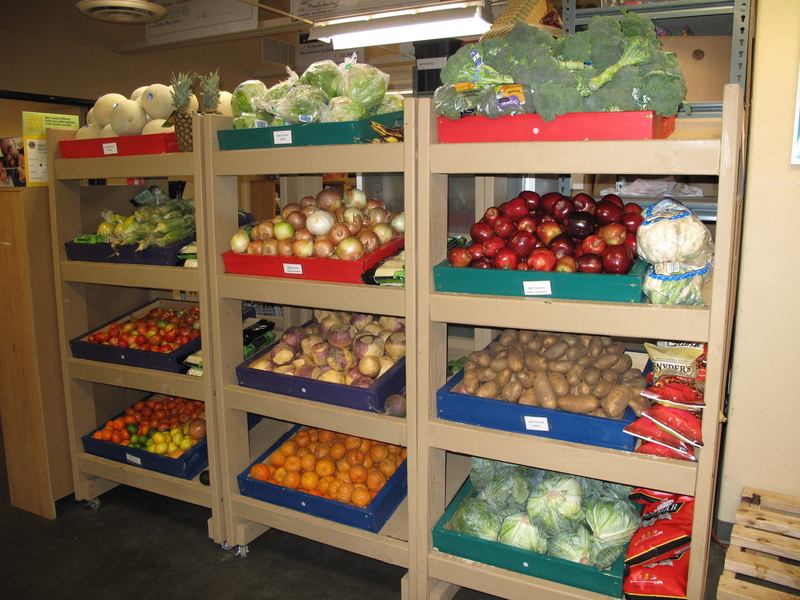 Other volunteers help unload the donations and stock the “Help Yourself” shelves, resulting in a friendly atmosphere for clients to “shop.” They can take advantage of the healthier options and consequently stretch their food budget at the store. Of course, we also get some sweet treats which everyone can enjoy periodically. 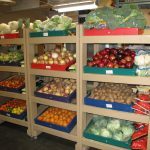 And, remember, if you are starting to feel “spring fever” and you are planning your vegetable garden – if you harvest a bumper crop, Tri-Lakes Cares will be happy to take your surplus crops and make it available through our “Help Yourself” program. 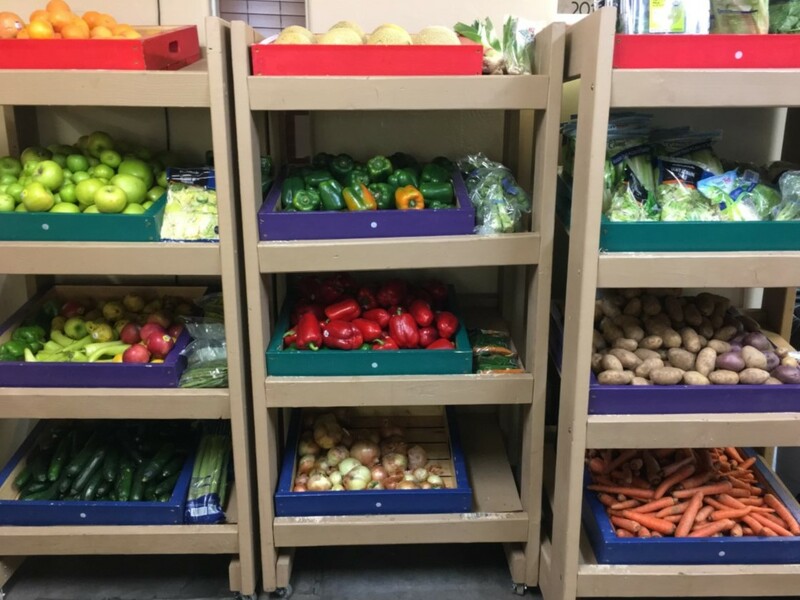 By providing these options to our clients, they can make better food choices, hopefully improving their health and wellbeing. In addition, they can stretch their limited financial resources to cover other cost of living expenses such as rent, utilities, medical needs (prescriptions), or school needs of their children. Thank you to all of our food partners who make the “Help Yourself” area so successful! If you shop at any of these stores, be sure to thank them for their support to Tri-Lakes Cares! I want to thank Tri-Lakes Cares for the opportunity to contribute to their blog. I have a passion and enthusiasm about what I am going to share with you. First, though, I would like to share a little bit about my personal background. I grew up as the oldest of eight children; six of my siblings were adopted. Given the size of our family, finances were oftentimes very tight. For a time we even lived in a two bedroom house. The situational poverty I grew up in taught me how to budget well and how to coupon well. As I was couponing recently, I began to ponder ways that I could possibly incorporate couponing with community service. I called Tri-Lakes Cares to gauge their potential interest in a coupon project, a project that would help Tri-Lakes Cares stretch its dollars, help clients stretch their dollars, and would provide volunteers and others in the Lewis-Palmer community with couponing knowledge to save money in their households as well. Interestingly enough, one of the ideas that had been jotted down at Tri-Lakes Cares prior to my phone call was “couponing,” so I met with a few of the Tri-Lakes Cares staff to brainstorm ways on how to proceed and help make this project become a reality. This coming fall I will begin my fourth year as a math teacher at Lewis-Palmer Middle School – my 25th year overall as an educator, so I have a personal interest in helping meet the needs of not only my students but also those in our community. Community service is a guiding principle for me both professionally and personally. 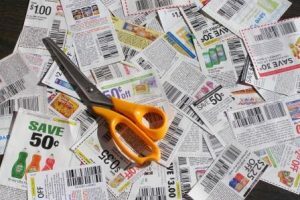 It is my desire to teach my students about couponing as well, which will give them a lifelong skill that they and their families will benefit from. It also increases their financial literacy. The initial need for the coupon project is to build up an inventory of coupons. It would be ideal for people who receive coupon inserts to cut out what they need and then donate the remainder of the inserts to the Tri-Lakes Cares. The objective is then to cut, sort, and organize the coupons, and distribute them to clients according to their needs. 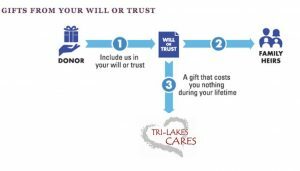 Coupons may be used for purchases made by Tri-Lakes Cares to help stretch their budget as well. Couponing can, however, be a frustration. It can be cumbersome, time-consuming, and overwhelming. In an effort to make couponing a more productive, efficient, and enjoyable experience, couponing classes will be offered in the coming months. These couponing classes will be available to clients, and classes will also be made available to volunteers and anyone in the community who has a desire to learn more about couponing. Thank you in advance for the work you all do to benefit so many individuals and families in our community. I look forward to the coming months as we strive to see this project evolve from a dream to a reality. Note from Tri-Lakes Cares staff: Michael recently shared that at a recent trip to King Soopers, he saved $126.81 by using coupons and spending only $40.43 on his recent grocery bill.